Poor Graham Norton. He’s unwittingly inflicted two offences on Doctor Who. The first occasion was when the opening episode of Series 1 was interrupted by his voice transmitted live from the studio of Simply Dance Fever. And then last weekend his animated alter ego popped up and preened in an in-vision advert for Over The Rainbow, inexplicably played during the thrilling cliffhanger conclusion to Series 5’s The Time of Angels. It’s like he’s the official interruption for Doctor Who, if you don’t count the week off for Eurovision. In fact, let’s blame him for that now as well. He’s practically a rash. A Norton virus. The first occasion was an accident. But the second was a deliberate decision on prime time BBC One. Viewers in Wales, Scotland and Northern Ireland were spared this crass interruption. This must be one of the few occasions when a “regional opt-out” was preferable. Over five and a half thousand people have complained so far. Some others have suggested it’s an overreaction, or that it’s just “fans” grumbling. I think they miss the point. If the BBC is proud of its prime time dramas, whether Doctor Who or Casualty or EastEnders, why spoil the end of any of them? In what way was the added animation in the service of the programme? How many viewers did they think might say “d’you know, I’m so glad they mentioned that. Especially now. And thank goodness they didn’t wait until the end credits before furnishing that vital intelligence.” Vital intelligence being, by an odd coincidence, what was missing from whoever authorised the addition on this occasion. BBC drama production teams spend plenty of time and effort on shot composition, editing, and picture grading. 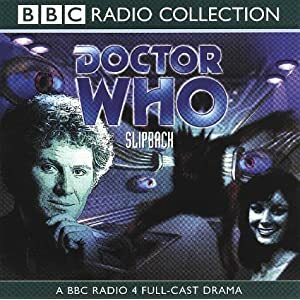 So slapping a distracting animation in bright colours with text to read, over the darkened final scene, and in the process obscuring the leading man’s mouth while he delivers the final lines of the episode, could hardly have been more intrusive. It’s not the end of the world. It hasn’t brutalised a sacred object. It didn’t “Ruin Doctor Who”. But it did spoil the enjoyment of the story for lots and lots of viewers. This isn’t the first time that the BBC has done something this stupid, though previously these thoughtless overlay interruptions seem to have been confined to dramas on BBC Three. For some reason, Spooks seemed to suffer more than most — the most egregious example being an episode in which the lead character was silently and poignantly comforting his son after the death of his mum in an affecting long-shot rendered meaningless by a bright advert for a forthcoming programme. The BBC allegedly conducted a “review” of these trails five years ago, and ignored a similar but smaller rash of complaints at the time. Their latest mealy-mouthed apology after complaints an order of magnitude greater than that merely suggests the “timing” was inappropriate. Quite what timing would have been appropriate is left to the peeved viewer’s imagination. The cartoon Graham Norton didn’t prevent over two million leaving BBC One once Doctor Who finished. The average audience for BBC One between 7.00-7.05 was 7.01 million and the average between 7.05-7.10 was 4.81 million. A tannoy announcement at the RSC over Horatio’s “Now cracks a noble heart” speech, to remind patrons that tickets are on sale in the foyer for next week’s Mother Goose pantomime. Oh no, hang on, they already did that last one. It was in 2005, and the BBC’s mealy-mouthed apology on that occasion suggested that they didn’t really think it was a problem: “We hope it did not affect anyone’s enjoyment of the final moments of this fantastic drama”. Well, people complaining that it did affect their enjoyment might have been your first clue. And so it is again. The Daily Telegraph has now provided fuller details of the audios that they are giving away free from next weekend. Details here. Monday 26th: Get a voucher that you can redeem in WHSmith for Part Two of Pest Control. The Daily Telegraph is going to covermount a set of audios as a “Doctor Who Collection”. 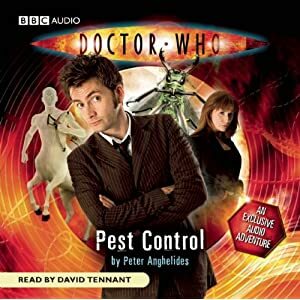 I’m particularly pleased, because they’re including my audio Pest Control (read by David Tennant) on Sunday 25th and Monday 26th April. 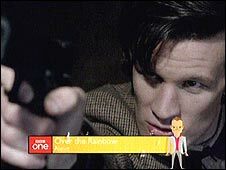 Before that, readers will be able to get new Doctor Matt Smith reading The Runaway Train, which is a bit of a scoop. 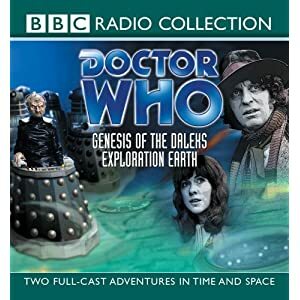 After Pest Control, the Collection will contain Slipback featuring Colin Baker, Genesis of the Daleks and Exploration Earth featuring Tom Baker and Elisabeth Sladen, and finally Mission to the Unknown, the soundtrack recording of the single-episode Hartnell-era story that (uniquely) doesn’t feature the Doctor or any of his companions. It’s a Marc Cory Story. Updated: corrected the dates and the reference about “Mission…” It’s the soundtrack, not the novelisation. Not all former-DITA specialists are so phlegmatic. An unnamed high-placed IBMer wrote on a personal blog: “This wasn’t the kind of constraint I was expecting. This ruling tears apart my whole conceptual data model. If you ask me, the output is PDF — Pretty D*mn Foolish.” He was subsequently obliged to withdraw this remark for the use of an unresolved reference. 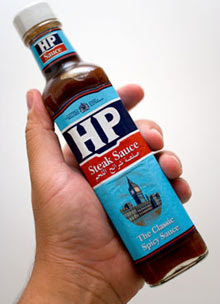 OASIS are now frantically drafting a workable alternative, expected to be published by the end of this year and formalised by 2015. The initial draft is “Architecture-proof Relationship Indication Language”, or “ApRIL (1st)“. April 1st p.m. updated to add: Check out some others on TechCrunch.